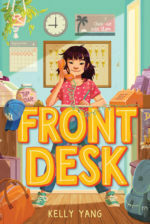 Congratulations to Front desk by Kelly Yang, the Champion of the 2019 Jefferson Battle of the Books!! Our Final Four books were: Crush vs. Ghost boys and Rebound vs. Front desk. Thanks to all who voted throughout our March Book Madness.